Looking back on this cold November Illinois night, my memories are dominated by a ninety-minute period. The drive down, the parking lot, the hall itself, the first set — they are all cloudy visions, made hazy by time and other, more memorable experiences. My clearest memories of this night, though, come from the second set — the only set in six years of Phishing where I have been lucky enough to "ride the rail," stand and dance in the front row. It is amazing how a simple act of "placement" can so completely change an experience. 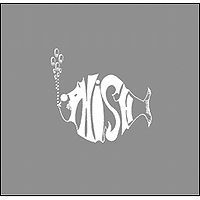 Champaign was my fourth Phish concert, third show that fall. I had already seen the Pittsburgh/Buffalo run, and after having been very pleased with what I had seen and heard, I was really looking forward to the Champaign/Auburn Hills run. The trip from South Bend to the University of Illinois at Champaign was rather uneventful, and it didn't take long for us to find the Nervi-influenced arena known as Assembly Hall. Seemingly oblivious of the cold, damp air, a sea of people were milling about the odd, cooling-tower-like building — vending, looking for miracles, just hanging out. And while it took some work by our crew, we were able to find the one extra that we needed. On entering the arena, I realized I had to split up from my friend Joel — he thought he was somewhere near the front, and while I was on the floor, I was back in the opposite corner, Fishman side. The inside of the Hall is as odd as the outside — the floor is very small, wider than it is deeper, with the bleacher-seats coming directly down. I found my place to the right of the tapers and waited for the show to begin. I truly wish I remember more of this set. My memories include a pleasant surprise at hearing “Axilla”, part one rather than part two (I still enjoy part one over part two — I believe it is because of the cadence of the lyrics), my attempt to come up with the name of “All Things Reconsidered” (which hadn't been played for 108 shows), and my excitement in the “Antelope” closer, which was full of energy. It seemed as though Trey had some problems with his rig, but I really didn't pay much attention. Throughout the set, I took some pictures from my vantage point on the floor — I had gotten my camera in and thought that I could get some nice shots from where my seat was. If I only thought ahead and kept some pictures — I finished off the roll…. Before the first set started, my friend Joel told me that he would come find me during the intermission, and if his seats were decent, I would try to get up with him. So I sat in my seat, enjoying the break, waiting for Joel. As he came up to where I was, I noticed a huge smile on his face. His seat just so happened to be located against the rail, right in front of Page! And guess from where I was going to watch the second set? While it was a little tight up there, I do not think I could stop bobbing up and down and jumping — needless to say, I was a bit excited. As soon as the lights came down and the band took the stage, I was in a zone. It was amazing to be right in front of Page, looking up at him, and to look across the stage at Trey, Mike, and Fishman. It really was a different world, staring up at the band, watching their feet, watching the photographers run back and forth in front of me on the other side of the rail. For the first few notes of “2001”, my friends and I were scurrying around, trying to make our cameras work — I used up all of my film and Joel's batteries had run out. Damn! Here I am, in the best seats I would ever have, and I used up all of my film. Oh, well, that is what my memory (and tapes) are for, I guess. The opening “2001” was a quick but fun one. The intro wasn't extended at all as they transitioned directly into the main theme, with Trey moving over to his drum pads for some added texture. 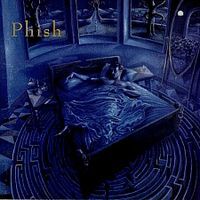 The song lasted only about four or five minutes before Fish's repetitive cymbal beats marked the beginning of “Maze”. Just like the “Maze” I saw in Pittsburgh a month earlier, this was a rager. Page was all over the keyboards during his section and Trey picked up right where Page left off for his blitzing guitar solo. Great one-two opener. “Bouncing” followed. I didn't mind. As soon as “Bouncing” finished, Trey launched into “Simple”; one could assume that they knew they were going to play this song next. The band seemed to have this air of confidence as they moved through the opening "What is a band?" section. Maybe they knew that this was going to grow into a must-hear version of “Simple”. Trey quickly jumped onto his drum pads and added some high-pitched chime sort of sounds while Page played the piano. They slowly quieted down with the jam becoming a bit atmospheric; Page played very well here, both on the piano and the keyboards (sounds as though he jumped to the Moog at one point). As Mike played some high notes on his bass, Trey kept adding texture with his drums and his guitar (although he wasn't really strumming his guitar, just using pedals and effects). Ten or so minutes in, Trey starts to wrestle out some notes. As Mike and Fishman increase the tempo, Trey joined in with some faster licks. I need to mention that somewhere in here Trey clearly started to have more trouble with his rig. It was actually rather humorous to watch him get so angry — he would jump back towards it and give it this half-assed karate kick. This actually happened a couple times. Kind of amazing, when you think about it, that with all the problems Trey had, this “Simple” ended up being one of the best played (in my opinion). Wow — around fifteen or so minutes into the jam, while Trey rocked out, Fishman just went crazy on his kit. He was all over the place! It was a change, as up until this point he had just helped in keeping the tempo. Fishman might have tired himself out, as before you know it, he slowed the tempo back down, bringing the jam to a close. All I could do was shake my head. Not much in the way of Type II jamming, but it seemed to be composed so well, just flowing in and out of tempos and sounds. "Got to kick it sometime, you know?" Trey exclaimed to the crowd, apologizing for his display — maybe. Fishman added "That song featured Trey's broken guitar rig." Lightening things up a bit, “Loving Cup” followed. This was a first for me and I just soaked it in, taking drink after drink. With each "Gimme little drink!" Page pounded out more notes on his piano, Trey squeezed out more notes from his guitar. Boy oh boy, what a beautiful buzz. And the buzz was increased as Trey didn't hesitate to go right into the beginning of “Mike's Song” — my second ever. Next to my friend Pete and his big red wig, I must have looked like a goof, jumping up and down the way I was, holding on to the rail. The tramps section is pretty normal, and Trey followed it up with some interesting repetitions featuring his wah-wah. This “Mike's” became a bit spacey with some nice soaring before the (normal) “Simple” intro. At this point, everyone seems to drop out a bit. Page played around on his organ, and Trey moved over to his drum kit to play some interesting squeak and "water drop" sounds (grouped with backward "water drop" sounds). At this point, to my surprise, the band left their instruments and headed towards the front of the stage. Trey's remaining loops and effects slowly came to an end. As they became situated at the front of the stage, Trey thanked everyone and announced to the crowd that they were going to be singing the National Anthem at an upcoming Timberwolves basketball game (for "those of you who have a TV"), and they needed some practice. A nice treat, with a great crowd reception, but it kind of disrupted the rhythm and groove of the “Mike's”, which was just getting interesting. This must have been Technical Difficulty Night, but this time, it was Mike's turn. As the band prepared to launch into “Mike's Groove”, with Fishman starting things off, Mike attempted to start slapping — and nothing happened. For a few seconds, he just couldn't get anything to come out — and then all at once this fast, repetitive pinging came flying out of the speakers. Bu-duh, bu-duh, bu-duh! I guess whatever effect Mike uses at the beginning of “Weekapaug” just wasn't working right, and it came out all at once. Weird. This effect kicked in once or twice more during the “Groove”. After the vocals, Trey ripped into a nice soaring solo, with Page (again) on the piano — nice and rocking and drawn out for three or four minutes. Before heading back into the "Trying to make a woman" section, Trey talked over the music, thanking everyone for coming. I certainly left that evening more than satisfied — I never thought that I would be against the stage, and to witness that “Simple” from that vantage point was worth the price of the ticket in itself. 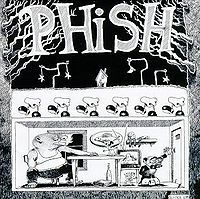 Coupled with the following evening (“Buried Alive” opener, “Divided Sky”, “Tube”, meeting Andy Gadiel, tenth row for “David Bowie”/”Harry Hood” sandwich second set with “YEM” in between), my second two-show run of 1996 was a success. Even if I don't remember every detail. this is a good solid show. technical difficulties abound, but there are some real serious highlights. the first set starts witha pretty standard run away jim that works nicely into the first axilla part 1 in about a year and a half. although, trey's guitar problems were really starting to pick up here. this pairs, quite uniquely, with all things reconsidered. it had been quite some time since this song poked its head out either. then they work right into mound. if it weren't for the guitar rig problems, this would have been an absolutely killer opening sequence, but alas, trey's frustration could be sinced a bit. down with disease takes off nicely, especially for the first set. this fall tour really marked the era when they were routinely jamming out down with disease. prince caspian provides a nice chance to take a leak. reba was alright, but trey seemed to be playing a touch hesitantly- maybe the rig problems were a concern. golgi was standard, and then, the boys really seemed to pick up some steam in the antelope. the whole band syncs up and fire on all cylindars for the first time in this show. basically, the playing was pretty solid, the technical difficulties sucked, but the song selection was seemed very inspired. a quicky '96 2001 opens this set up in fine fashion, getting everyone in the groove. then there is this red hot maze. there are some really hot mazes and simples in 96, this show is case and point. page is really given room to take off here, and he does just that. great, intense maze. batr is good for the college/newbie crowd, and it seperated the 2 big jams of the night. this simple, guitar problems and all, is a real keeper. trey does his best hendrix impression on this version. there is no tweedley/peter out/space out jam here; this one is a complete barn burner. fishman and gordon build a rediculous rock groove and trey and page just come over the top like maniacs. maybe a top 3 version. loving cup works here-given the guitar problems, but despite the problems, trey is still feeling ambitious. unfortunately, this mike's song does not take off like some of the other ones played in 96. mike's song does its thing for a little bit, but just never seems to catch fire. as they start to space this one out, they move up front for the star spangled banner. there wasn't much momentum to kill, but this move to kill whatever there was. as they try to bring weekapaugh up, gordon feels the effects of technical difficulties. he was a little in and out, but this time trey stepped up to lead the way. pretty good weekapaugh closer. i really like the theme from the bottom encore. nice introspective way to end the show, while not playing waste. overall, this is a good show. 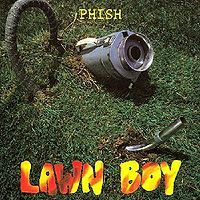 the big jams make this one worth checking out, but the technical difficulties make you wonder what could've been if the band were able to focus on just the music and not whether or not there instruments were being heard. slight rambling I'm sure I'll do. was quite poor. Muddled bass and virtually no piano. everyone could've used a volume boost here, too. Average Jim. problems, kicking his rig and what not. He dropped out for a verse. was sucking pretty badly, you couldn't even hear him on the lower lines. Page had risen in volume, though. the low stuff. Again, this song was just lacking anything interesting. though, about the song's ending. I don't like how it starts back up. was fume until Fish's solo section. DAMN THOSE CLAPPERS!!! 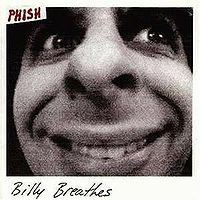 few notches, and than Trey couldn't remember how the ending lick went! break just to chill out. things not as boring. He still stays on it too long, IMHO. hear it. For some reason, though, I couldn't get into it. BOUNCING AROUND THE ROOM: Time to sit down & smoke 'em if ya got 'em. 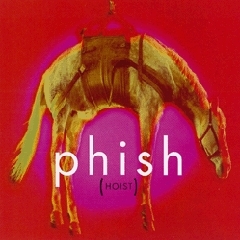 this theme and made T-shirts with Beta Theta Pi inside the Phish logo. gives Page full power to experiment. Trey was hacking too long though. but alas, Trey jumped onto his drumkit =| and shouted for the mic. they would. I could hear a lot of the harmonies...good work guys. he bent it up a quarter of a step to make it ring out even more harshly. luck...we went home thinking blue lights and "From the Fottom..."
Grand Rapids in 29 hours!